South Jersey Turf Consultants, LLC is a professional turf applications and consulting business located in Burlington County, New Jersey. We provide our services to a wide variety of clients encompassing New Jersey, and southeastern Pennsylvania. We are agronomists to the core, and we understand that turf serves a wide variety of interests and activities whether they be functional, recreational, or ornamental in nature. In turn, our degreed, licensed professionals have the ability to develop your custom, comprehensive, cost effective, environmentally sound, turf management solution. In simple terms, an agronomist is a soil scientist whose goal is to increase soil quality through testing, experience, and chemistry. Our formally educated-team of agronomists have studied at some of the top recognized universities in the country—and many have worked with some of the top agronomists in the nation. It’s this training that gives South Jersey Turf Consultants our unique identity in the area. We believe it all starts with the soil. 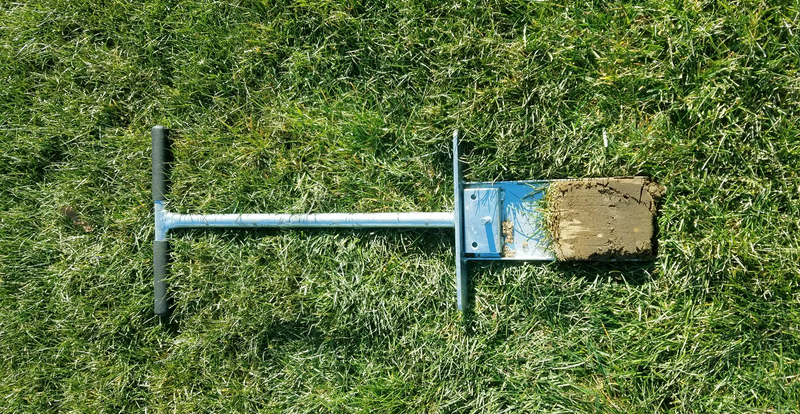 While many turf companies will offer to test the PH of your soil, only trained agronomists can interpret all the test data and convert that information into proper techniques for your speci c needs. Our thorough understanding of the core agronomic principals, and the chemical relationships that contribute to nutritional balance, allow us to provide you with the proper products and techniques that will deliver superior results. Besides The PH balance, there are other key components to the makeup of you soil, such as: base saturation, CEC (cation exchange capacity) % organic matter (humus), and extractable minors. We think it’s important to use organic fertilizers, however, we believe it’s just as important to achieve proper balance in your soil so that you can potentially reduce all fertilizer usage by up to 50% over the course of a season. We are proud of our Organic Landcare Certification that proves we truly understand the theories and principals that drive our craft. Once the soils are balanced we turn our focus to the turf itself. We base our program selection on the function of your product, and how you would like the turf to be used, i.e. sports elds, home lawn, etc. Finally, we move to the area of sustaining your plant’s health and “feeding” your turf, trees, and shrubs. In full, we develop your unique agronomic maintenance program. Meet our Experts Learn more about our expert staff.